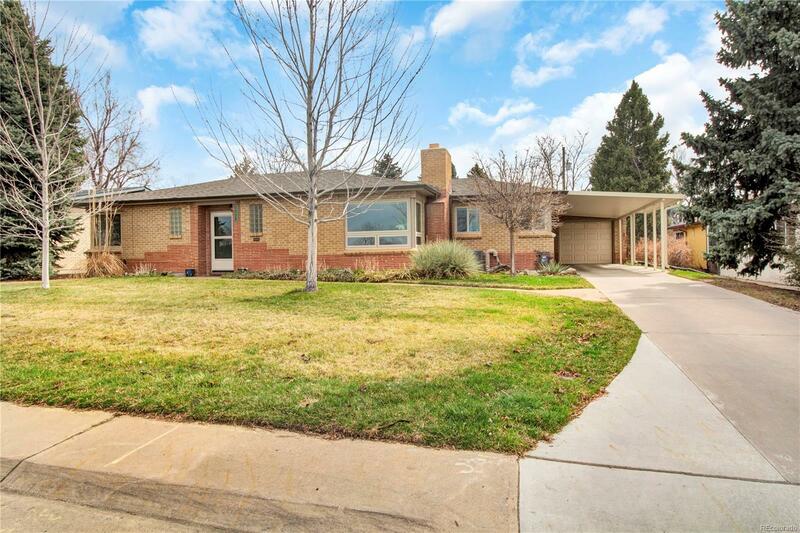 WATCH VIDEO @ https://youtu.be/-T800WI7Uv8 You will love this Mid Century Modern Ranch Style home located on a large lot in Wheat Ridge. Located just blocks from Panorama Park, Tennyson square, West Highlands on 32nd & Lowell, Sloans Lake, West 29th St and so much more. Just in time to enjoy this private backyard oasis and entertain your friends and family this summer. 3 bedrooms & 2 baths on the main level with mountain views out your living room and kitchen windows. Newly finished and crafted kitchen and bathrooms. New Roof. New Gutters. Newer windows throughout Home. New Sprinkler system. New HVAC System. Larger 1 car attached garage with 1 car parking car port. This home is move in ready! Don't wait on this home, it will not take long for someone to fall in love with this Wheat Ridge Gem.